In August, I went on a business trip to Beijing. Our company has a group over there that is adapting our product for the Chinese market, and they were running a trial at one of the mobile phone carriers’ lab. We decided that we should send a couple of engineers over to help out, since they would be accessing data from the system that was designed here in the US. The original plan was for me to leave immediately and stay for two weeks. However, China requires a visa, and my last visa had expired six months ago. So I delayed my trip by a week and shortened it to a single week, while I collected all of the paperwork from my company and sent it off to a company that specializes in getting visas. Less than 48 hours before my flight was supposed to leave, I still had not heard back from the visa company, so I called them to check on it… you know, get a FedEx tracking number, etc. Nope! It turns out that the visa company still had not submitted my paperwork to the Chinese embassy! They said I had two choices: submit it then and wait two days (which would mean missing the lab trial entirely) or go to Washington DC and walk it through myself. This was Thursday night, and I was expecting to leave home at a “civilized” time of 10am on Saturday. I was not fully packed. My kids were planning to spend Thursday night and Friday night playing with me at the pool, and then they could send me off on Saturday. Instead, I changed my flight plan to leave on the very next flight to Washington, 6am Friday morning. Suddenly, I had to pack, try to sleep a little, and then sneak out of the house at 4:30am. I’d miss my last day and a half with my kids, and they were not pleased. I made it to Washington, and I went to the passport company to retrieve my passport. They actually charged me a cancellation fee, but instead of ripping them a new one, I decided to use that precious time to get my visa. When I got to the Chinese embassy, I waited in line only for the lady at the counter to tell me “sorry, no same-day service!”. I was furious. Not only did the visa company NOT do their job, but they fed me bad information about how I could remedy the situation! 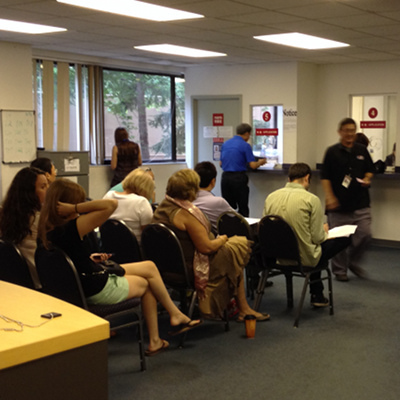 I decided to get back in line, hope for a different counter clerk, and practice my story. When it was my turn, I slowly explained that I had sent my paperwork in more than a week ago, and through no fault of my own, it never made it to their office. 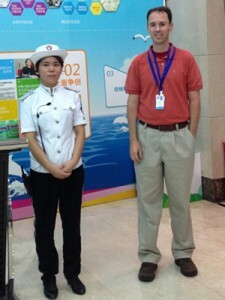 She explained their policy of no-same-day service, but this time, I was ready for it. I asked if I could “appeal to the consulate to consider my story” (remember that phrase, it’s a good one). So the lady took my papers to the back office and I waited. She came back and said that they did not believe my story. I was shocked at her choice of words. But I stayed cool. Fortunately, I had made copies of EVERYTHING, and so I pulled out a copy of my FedEx waybill and the receipt from when I had dropped the package off at the FedEx office at RDU airport. It showed TO and FROM and a date. She went back in the back and came back to tell me to return in three hours to pick up my passport and visa. With my passport in my pocket, I was free to explore Washington DC for the afternoon. I stayed in DC overnight and got on my original scheduled flight the next day. 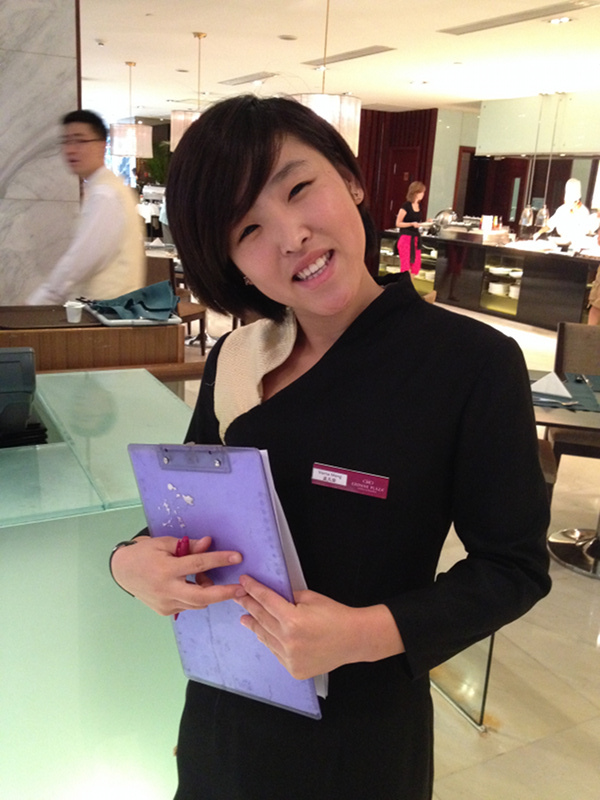 The trip to Beijing was uneventful, and we arrived at the very nice Crowne Plaza hotel. Every morning, we were greeted by the beautiful Chinese hostess, and then treated to a buffet that was a confluence of breakfast foods from every continent. 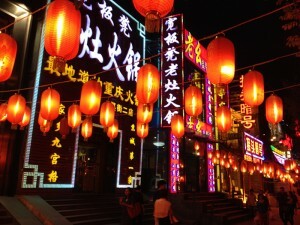 Our hotel was on a popular pedestrian street called WangFuJing (王府井). This was not the place to see how the locals live. This place was a magnet for tourists from all over China and beyond. The streets were lined with a combination of tourist shops selling souvenirs and stereotypical Chinese stuff, as well as big-name stores like Swarovski and Rolex. The Apple Store is on that strip, too. The pulse of WangFuJing reminded me of the NC State Fair, with crowds of visitors and shops selling crazy foods that no one would eat if they were at home. Each day, we’d take a taxi to the customer’s office, and we’d go through this routine of signing in, getting a pass, walking to the lab, giving our pass to the guard, going upstairs, exchanging our work ID badge for a guest badge with a locker key, telling the receptionist our laptop serial number, and locking everything except our laptops in a locker. Inside the lab, our company’s workers and the contractors were busy making changes to their Chinese adaptation of our product. But I could not help the for three reasons: (1) it ran in Internet Explorer only, and I had a Mac (2) it was written in Java, a language that I am not familiar with (3) the entire user interface was in Chinese. So we fell into a pattern where they would work in Chinese until they reached a problem with our product, then they would switch to English to ask me a question. So I spent most of my day the way a dog would. I sat there, watching them talk, but not understanding a word. Sometimes I would hear a single word that I understood, and it would catch my attention. Sometimes, they would get up suddenly and say they’re heading out for lunch, and I would leap up and follow them out the door. A dog’s life. So during the daytime, I experienced a sort of sensory deprivation in the lab. I did not know what anyone was talking about, and so I did not have a good idea of how the trial was going (fortunately, my colleague spoke Chinese natively, and he produced a daily summary report for our bosses back home). Rather than totally “plugging in” to their project, I simply answered technical questions as they came up. At lunch time, we’d walk somewhere nearby for lunch. And in the evenings, we would wander the city in search of supper and finally head back to the hotel. On the city streets is where I experienced sensory overload. 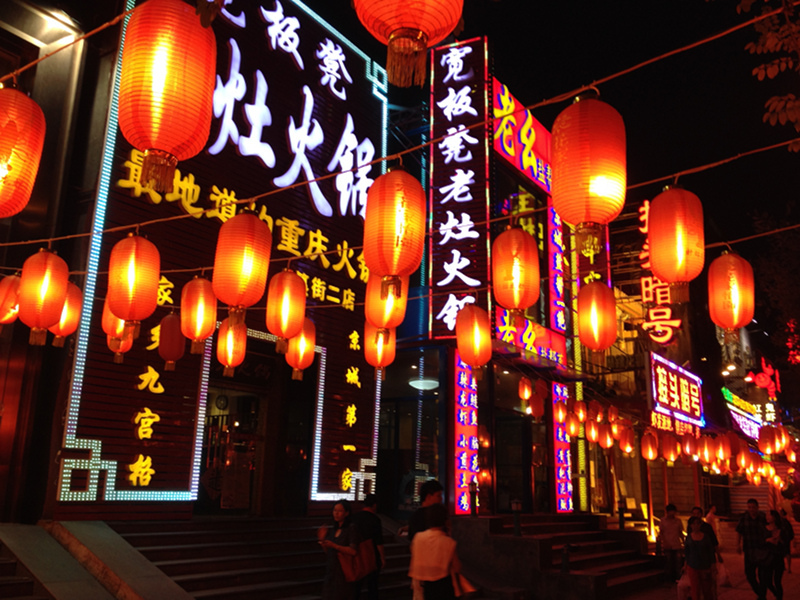 Beijing is lively, with bright lights and unfamiliar sounds, smells, and tastes. There’s 18 million people bustling to and fro, on foot, on bicycles and in cars. It’s a lot to soak in, especially if you’re trying not to get hit by a bus. I’d be remiss if I did not mention here that the Asian ladies, dressed in their smart city styles, are especially interesting to watch. If you’ve ever seen the movie “Lost in Translation”, my week in China felt a little bit like that movie. Sofia Coppola does a great job of capturing that intoxication that comes from a mixture of jet lag, not understanding the surrounding spoken language, and bedazzlement from the strange and alluring scenery surrounding the traveller. Overall, my trip to Beijing was a blast. And I hear that our lab trial went very well!